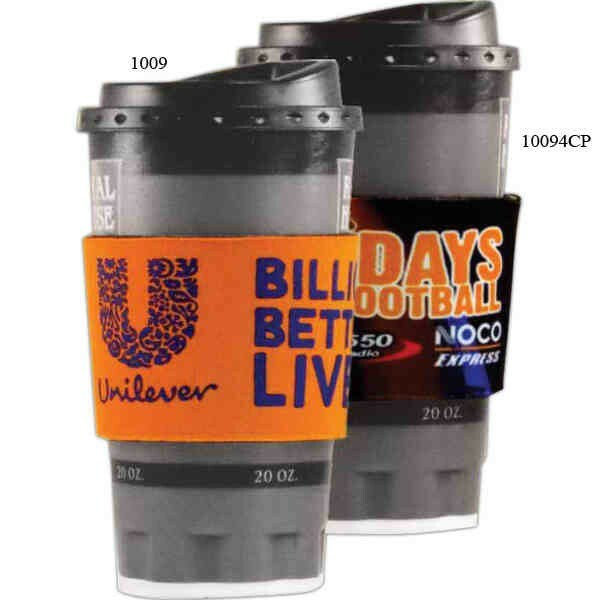 Make your brand a part of anyone's morning routine with this foam coffee sleeve and beverage insulator. Make your brand a part of anyone's morning routine with this foam coffee sleeve and beverage insulator. This promotional tool is made in the USA and is made with high density scuba foam and is available in a wide variety of color choices to complement a full color imprint of your organization's name, logo and advertising message. And, with dozens of licensed artworks available for further customization, creating the eye-catching look you want is easy with this sleeve. Add your brand and leave it blank and get started on your next promotional campaign today!